Whether you are painting, organizing, cleaning or canning, Cape Ace Hardware has everything you need to get it done. Cape Ace Hardware carries high-quality paint and has all the supplies you need to complete your painting project including brushes, tape and clean-up supplies. Cape Ace Hardware is proud to introduce Magnolia Home by Joanna Gaines, a premium interior paint line made up of 150 timeless colors. Each individual shade was hand chosen by Gaines to help turn your design vision into a reality. The interior paint line, created by designer and nationally recognized home renovation expert, Joanna Gaines, is now available for purchase at Cape Ace. The colors offered within the line reflect Gaines’ personal design philosophy, with 25 of the 150 colors making up the specialty “Market Collection”; an assortment of Gaines’ favorite colors specifically inspired by her life in Waco, Texas. Each shade within the Market Collection has a deeper meaning or story associated with it, further engaging fans and inspiring them to delve into the world of do-it-yourself. Cape Ace Hardware is an independent retailer of Benjamin Moore paints. These products are not available at big box stores. The limited availability ensures that you will always receive expertise and product wisdom. Benjamin Moore is manufactured using the best resins and colorants, resulting in a superior paint product. It offers the best in quality and performance. They created user-friendly paints that are easy to apply, with amazing coverage, which saves time and money. Even the novice DIYer will see professional results when using this brand. Since 1883, the Benjamin Moore Paint Company has been manufacturing a superior design product. They are an award-winning brand offering the finest paints, stains, and finishes throughout North America. They are committed to developing products that minimize their impact on the environment. Years before government requirements, they eliminated lead, formaldehyde, and mercury from their paints and met VOC standards. Clark + Kensington paint offers over 1,300 stunning colors. 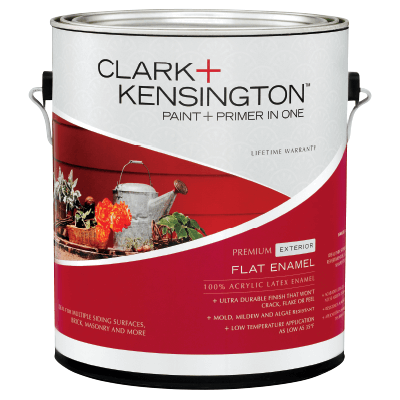 Their paint+primer is the top-rated choice by a leading consumer magazine. 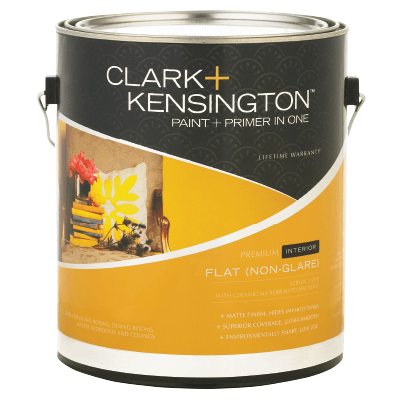 Explore all that Clark + Kensington paint has to offer our paint studio. Cape Ace Hardware offers pint-sized paint samples in any color for just $4.99 each, allowing you to easily sample multiple colors on your wall before making your final selection. Get started on your home paint project today. If you are looking for a vivid color that can stand up to anything, then look no further than Valspar Paint and Primer. Perfect for both inside and outside projects, Valspar Paint and Primer comes in a variety of stunning colors which offers you stain blocking and protection from harsh environmental elements. Stop into The Paint Studio at Cape Ace Hardware and get started today. Valspar Optimus paint has a low odor, zero VOC formula that provides the maximum durability to withstand major wear and washing in high traffic zones. 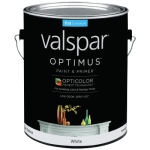 Valspar Optimus offers maximum stain resistance and provides the ultimate in durability. Not to mention amazing color which goes on flawlessly to provide a smooth finish. Available Flat, Eggshell, Satin, and Semi-Gloss. 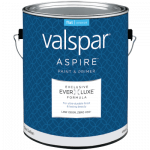 Valspar Aspire interior paint has low odor, zero VOC formula that is easy to clean and withstands wear for long-lasting color that stands the test of time. Available Flat, Eggshell, Satin, and Semi-Gloss. Valspar Aspire exterior paint has low odor, low VOC formula that resists fading and won’t peel or crack to protect against harsh environmental elements. It combines paint and primer in their exclusive formula. It can be used on siding, trim, metal, shingles, brick, cement and more. Available Flat, Satin, and Semi-Gloss.